When Theo the Raven sees ripe fruit, his beak begins to water. He comes with his favorite food, a cherry made of fabric. 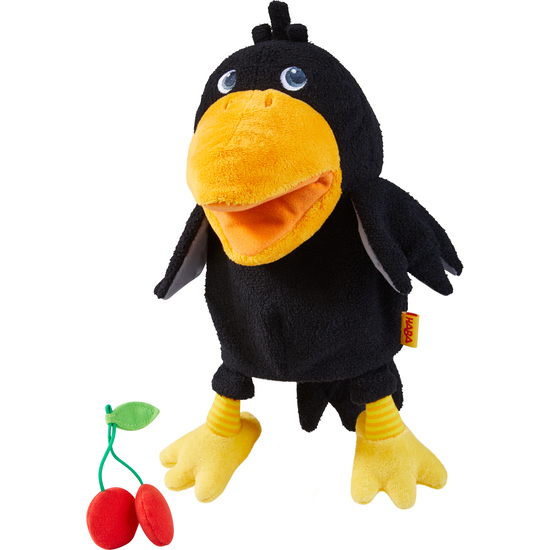 The beak can be operated with two fingers inside hand puppet, so that it opens very wide and – hey presto – the fruit is gobbled up.